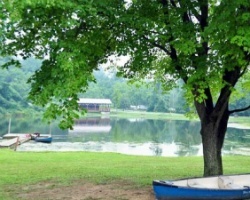 *Hershey RV & Camping Resort* is the perfect retreat for couples, families, and groups looking for the quiet campground setting mixed with the excitement of local attractions. Located on 200 acres of farmland in the heart of Pennsylvania Dutch Country, Hershey RV Resort is just six miles from the famous Hershey's Chocolate World, perfect for a family outing. We're also near many Amish settlements and the Indian Echo Caverns. Hershey RV Campground has something for everyone! Annual gold season flex week! Use any of the 150 locations!